I am delighted to announce that I am committed to donate a portion of my proceeds from my entrepreneurial career to philanthropic causes during my lifetime. The reason is simple. I have reached a point in live that “more” does not always mean “better”. So my future entrepreneurial activities, can generate a lot of money that can then be productively deployed philanthropically back into the society that makes it all possible. As an initial catalyst, I have made 10 loans via social micro-lending website Kiva.org. Kiva.org provides an entrepreneur’s marketplace for social micro-lending. The entrepreneurs are pre-vetted by micro-finance organizations. They are then listed on Kiva’s web marketplace, and interested and motivated lenders can lend money for the creation of businesses. It is a paradigm case of teaching to fish rather than giving fish. Meet Nooretet, 39 years old, married. She supports a family of five children. Nooretet is the first entrepreneur I helped. Nooretet is a beans farmer and requested a second loan. This loan will facilitate her in preparation of the farm and the purchase of fertilizers. She hopes to use anticipated profits to expand her farm and reinvest. Her future dreams are to improve the family’s living standards and educate her children. 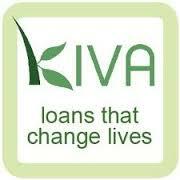 I have chosen Kiva.org because when I started my first company I received a loan. This loan made all the difference for me and my family. I hope my donation, some small and some big, could make a difference for many other families in the coming decades.